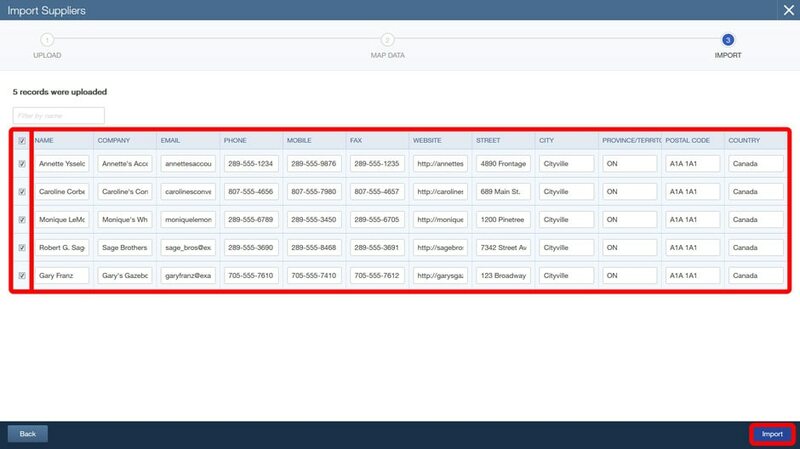 A great way to start working in QuickBooks is to add your suppliers' contact info. 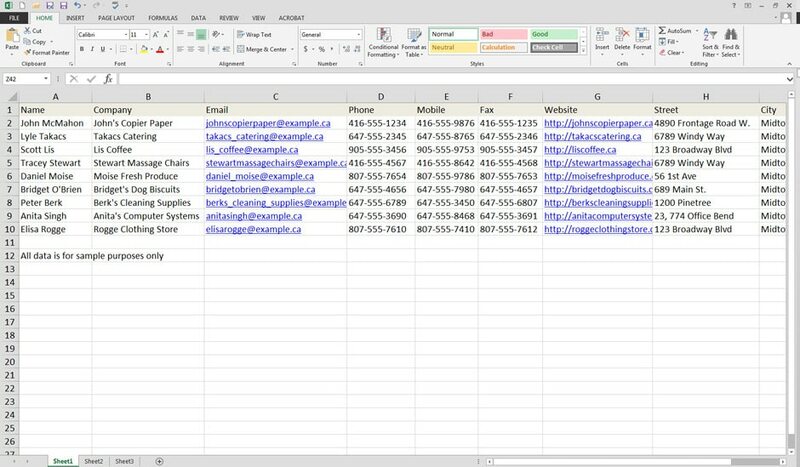 You can import a spreadsheet all at once or add suppliers one at a time. In the Suppliers page, click New Supplier, and select Import suppliers from the drop-down menu. Organize your spreadsheet to match the format of the sample below. 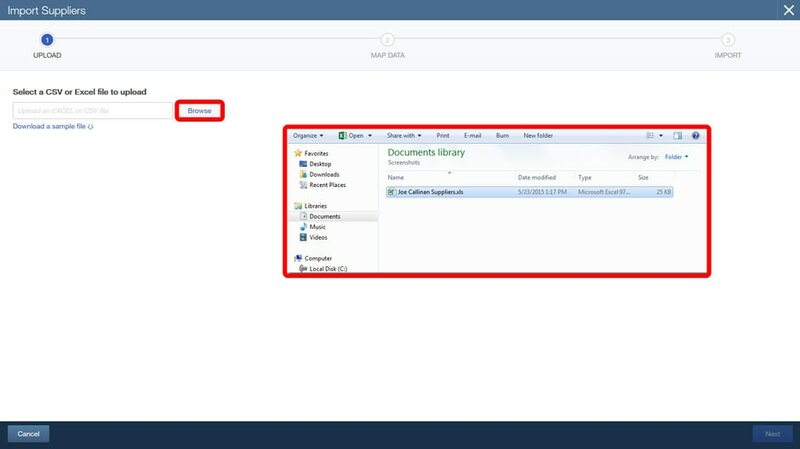 Make sure your column titles and the order of your columns match our example. You can download this sample file here. On the Import Suppliers page, click Browse. Select your file and click Open. 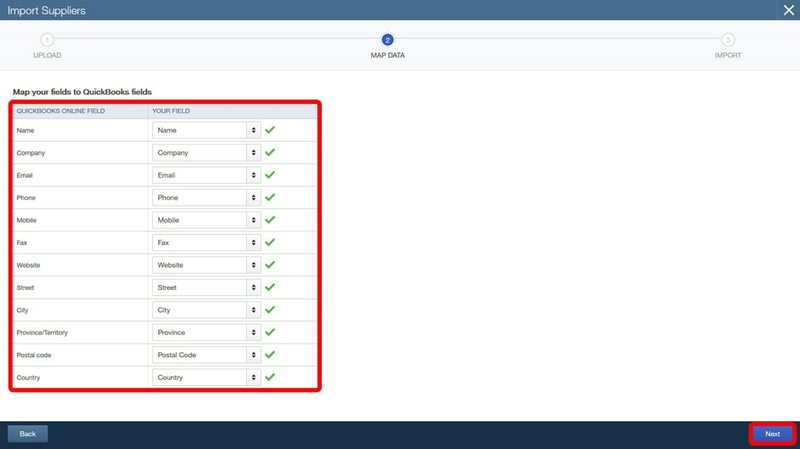 For every QuickBooks field, choose one of your Excel columns and that data will be imported into the corresponding QuickBooks field. Click Next. Check off all of your suppliers. Click Import. 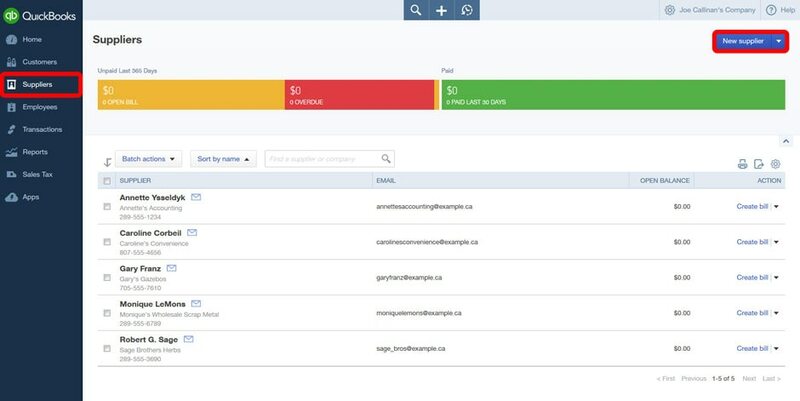 Now you can access all of your suppliers in QuickBooks. Click Suppliers in the left Navigation Bar. Then click New Supplier. Fill out the form as needed. The only required field is the “Display name as” field, but you can add as much information as you want. Click Save when you’re finished. 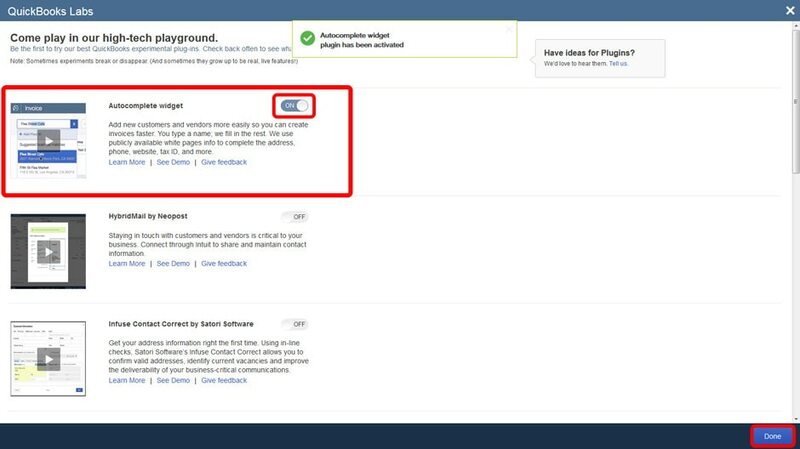 If you want QuickBooks to find all of the local businesses in your area, go to the gear menu and click QuickBooks Labs. 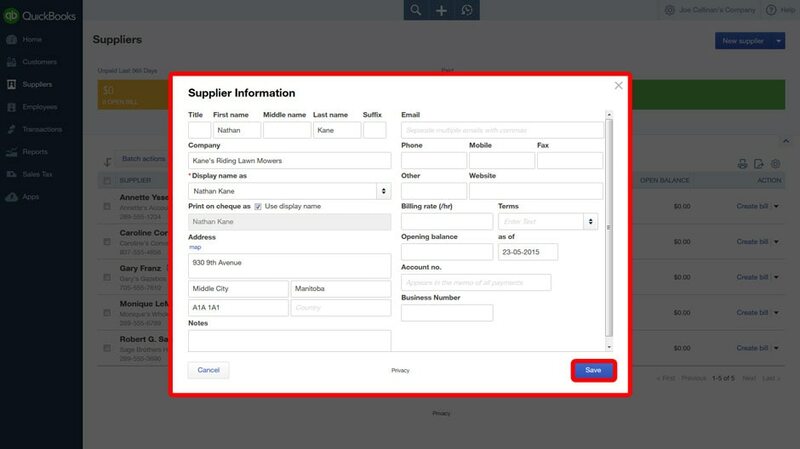 Choose the Autocomplete widget and the next time you enter a supplier (or customer) name in QuickBooks, it will suggest businesses in your area. Click Done when you’re finished.